I am David J. Bernstein, a Senior Study Director with Westat, an employee-owned research and evaluation company. Val Caracelli and I are the Local Arrangements Working Group (LAWG) Co-Chairs for the 2013 AEA Conference in Washington, DC from October 14-19. The LAWG is mobilizing local expertise and resources to enhance the annual conference and facilitate communication with local evaluators about the conference. It is pretty hard for Val and me to contain our excitement about having the conference in our backyard. We want you to feel welcome and invite you to take advantage of this opportunity by registering as soon as possible for the 2013 AEA conference. Why? Hot Tip—If you register during the early registration period, you receive a reduced conference fee. If you know you will be attending (and you know you want to!) then register early to receive the discount. Lessons Learned—Registering late for a hotel room may mean that the designated conference hotels are sold out or have limited availability. Check the Conference webpage (http://www.eval.org/p/cm/ld/fid=21) for featured hotels and reserve early to get your first choice. Cool Trick—Review the conference program and begin mapping out your conference schedule. Register early and then contact your friends, colleagues, and co-presenters to do the same. There is never enough free time during the conference, so consider arriving early and staying over Saturday night to maximize your social time and take advantage of the great historic, social, and culinary opportunities DC has to offer. Lessons Learned—The pre-conference training sessions are a great opportunity to expand your evaluation learning experience and toolbox. Register early so you get your first choice before the popular sessions sell out. Local DC Tip: Ever hear of the Childe Harold? If you are a fan of Bruce Springsteen’s pre-Born to Run music you might have, because Bruce played intimate solo acoustic and E Street Band shows there in the mid-1970s. 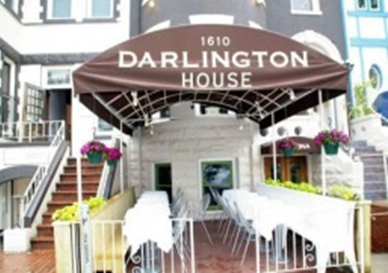 The Childe Harold is gone, replaced by Darlington House, which takes full advantage of the row house ambiance of this Dupont Circle classic. The Zagat restaurant guide (http://www.zagat.com/r/darlington-house-washington#name-anchor) says to visit the basement bar for tasty cocktails and great mini-pizzas. 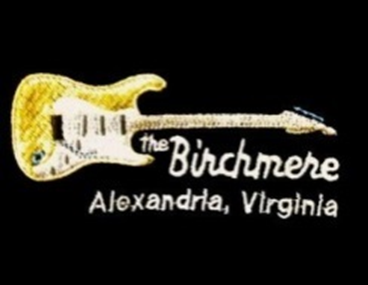 Local DC Tip 2: The Birchmere, a roadhouse style concert venue/restaurant in nearby Alexandria, Virginia has been hosting some of the biggest names in country, bluegrass, folk, and rock music for almost 40 years. During the week of the AEA Conference, the Birchmere will feature the Phil Vassar Band, Kenny G., the Herman’s Hermits starring Peter Noone, and smooth jazz artist Keiko Matsui. Make your travel plans early and get your tickets before these popular shows sell out. We’re thinking forward to October and the Evaluation 2013 annual conference all this week with our colleagues in the Local Arrangements Working Group (LAWG). Registration is now open! Do you have questions, concerns, kudos, or content to extend this aea365 contribution? Please add them in the comments section for this post on the aea365 webpage so that we may enrich our community of practice. Greetings and many thanks for this informative series on the upcoming conference venue. This is a perfect use of the blog and a great contribution by the local arrangements committee. The music venue listing got me started and I have now assembled quite a list of possible night out venues…thanks for the prompt. Modell Performing Arts Center at the Lyric (Sat 10/19). Who knows, maybe her hubby Elvis Costello will show up for that show.